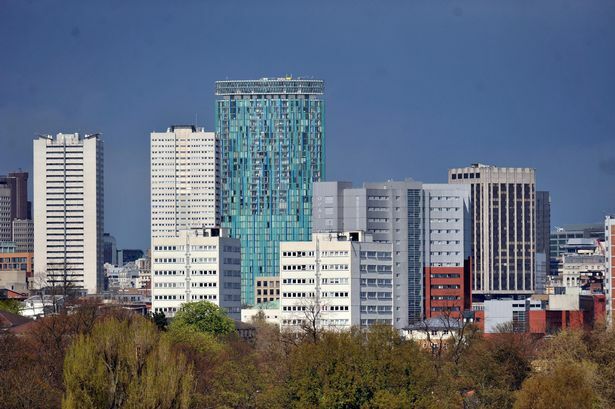 Birmingham has been one of the best performing cities in England and Wales for attracting residents and jobs to its city centre, according to new research. The report says that, between 2002 and 2015, the population of Birmingham grew by 162 per cent - the second highest city in the UK behind Liverpool - while jobs growth between 1998 and 2015 hit 30 per cent, representing an increase of around 30,600 jobs in total. The research has been compiled by urban economics think tank Centre for Cities in conjunction with law firm DAC Beachcroft, using data from the Office for National Statistics. It examines the challenges British cities face in managing competing demands for residential and commercial space, especially in their city centres. The research shows that the city centres seeing biggest growth over recent decades are not those with long-established, successful economies, largely in the South East, but instead the major urban centres of the North and Midlands. Centre for Cities said Birmingham had seen the third highest city centre growth in England in recent decades, as measured by combined jobs and residential growth in central areas, coming behind Manchester and Leeds. The city centre population of Birmingham grew more than seven times faster than that of London&apos;s between 2002 and 2015. However, the report also warns that urban resurgence in places like Birmingham could be undermined by planning polices which prioritise residential development over commercial space in city centres. It recommends the Government should allow cities to exclude their centres from permitted development rights which would enable them to stop the ad hoc conversion of city centre commercial space into residential property. The report also suggests cities should relax planning laws in other areas to allow more house building. Centre for Cities&apos; chief executive Andrew Carter said: "Thirty years ago, the centre of Birmingham was run-down and struggling but since then it has undergone a dramatic transformation, becoming an increasingly attractive location for people to live and work in. "This urban renaissance has brought opportunities for people living across the city and its surrounding areas and it&apos;s vital that it continues. "But, for that to happen, local leaders need to take tough decisions on how to sustain the growth of the commercial centre while also providing the homes that people in Birmingham need."